Take a bite out of history when you enjoy your next feast using Hand Forged Medieval Cutlery. This feastware set includes a spoon, a two-pronged fork, and a knife, all handcrafted from carbon steel for a rugged, historical look. The spoon and knife both feature stylish twists along their lengths, right up near the head of each utensil, while the knife has a twisted handle that curves around completely to form a loop. 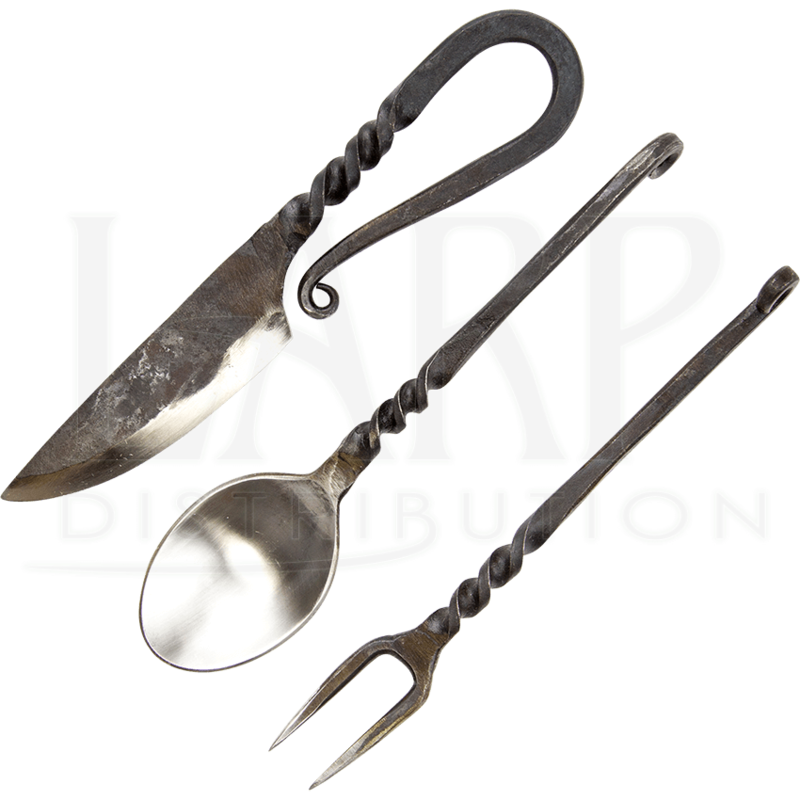 This cutlery set is perfect for taking with you to Renaissance fairs and for using during medieval feast events. Add authenticity to your reenactment or LARP experience using these personal historical eating utensils.